Worship should engage the heart, mind, and soul. At Creekwood, we cultivate worship experiences that are spiritual, authentic, eclectic, and accessible. 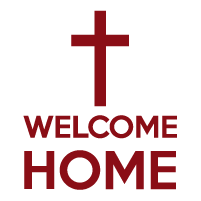 We want everyone to feel at home as they encounter God in the midst of our community. And when we say everyone—we mean it. We celebrate diversity, value different theological perspectives, affirm and embrace LGBTQ+ members, and strive to embody God’s kingdom. There is great power and possibility present when God’s people come together to pray, sing, and reflect on how God is at work in the world and us. Welcoming all of God’s people to worship and explore their faith also means creating spaces and opportunities for our children and youth to participate within the spiritual life of our community. Our middle school and high school youth participate in worship, serving as scripture readers, musicians, and even creating liturgies for monthly Wednesday services. Our elementary school children serve as acolytes, are invited forward weekly for a children’s moment, and have the opportunity to attend Children’s Worship following. Children ages three and under are invited to stay in service with their families or to join our nursery attendant for creative play.